This summer, my wife and I vacationed in and around Mackinaw City at the top of the great state of Michigan. We were near the place where the waters of Lake Michigan merge with the waters of Lake Huron. 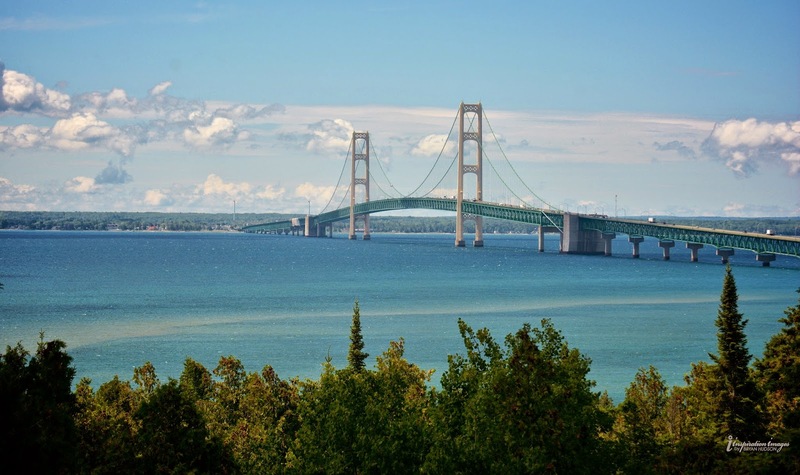 An engineering marvel of 1957, the Mackinac Bridge (spelling is different than city name), spans the five mile strait between the upper and lower peninsulas of Michigan. This mighty and beautiful suspension bridge was the longest in the world for decades after it was completed. It is longer than the famous Golden Gate Bridge. I am fascinated with suspension bridges of this type and scale. Perhaps this is why we are fond of the term "bridge-builder" as it relates to positive and significant people in our world. There is no mention of a bridge in the Bible as we understand bridges today. Like automobiles and airplanes, bridges did not exist in ancient times. Bridges are another marvel of ingenuity by mankind who is made in the image and likeness of God. Bridges like the mighty Mackinac Bridge remind us that Jesus Christ is the bridge to abundant life.